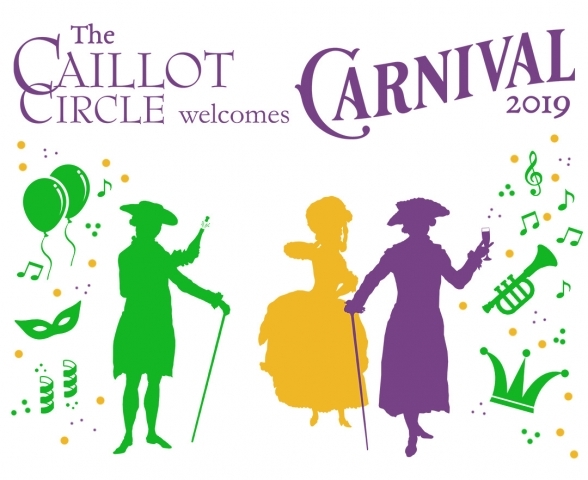 The Caillot Circle—THNOC’s membership group for young professionals ages 21–45—will be celebrating the kickoff of the 2019 Carnival season on Sunday, January 6, by joining in the traditional champagne toast to the Krewe of Jeanne d’Arc at the corner of Chartres and Conti Streets in the French Quarter. Champagne will be provided by event sponsor Effervescence. 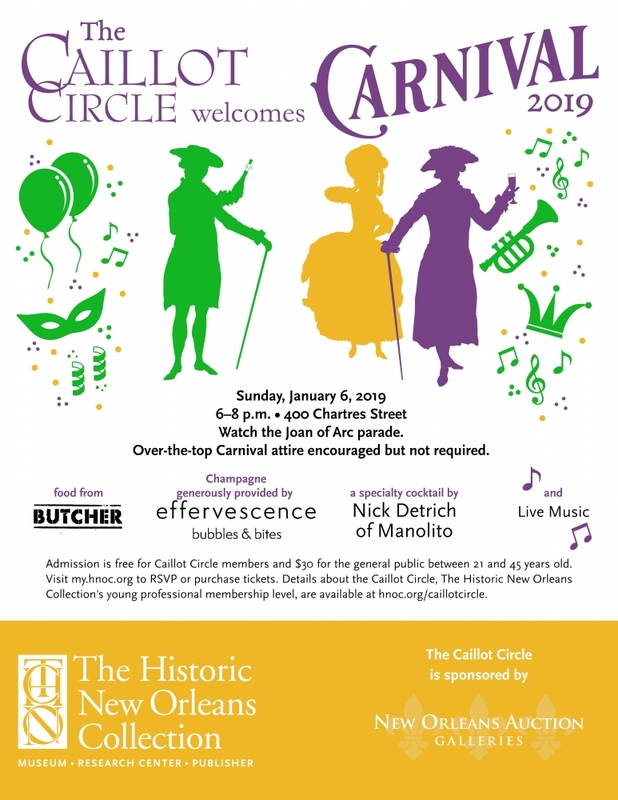 The parade is scheduled to begin at 7 p.m.
From 6 to 8 p.m., along with a New Orleans jazz band, Caillot Circle members will enjoy the Effervescence champagne bar and food from Butcher restaurant. Not a Caillot Circle member? If you’re between 21 and 45 years old and would like to attend, non-member tickets are available for $30 and may be applied to a 2019 Caillot Circle membership. For more information, or to join, email caillotcircle@hnoc.org or call (504) 598-7155. You can also join at the door.